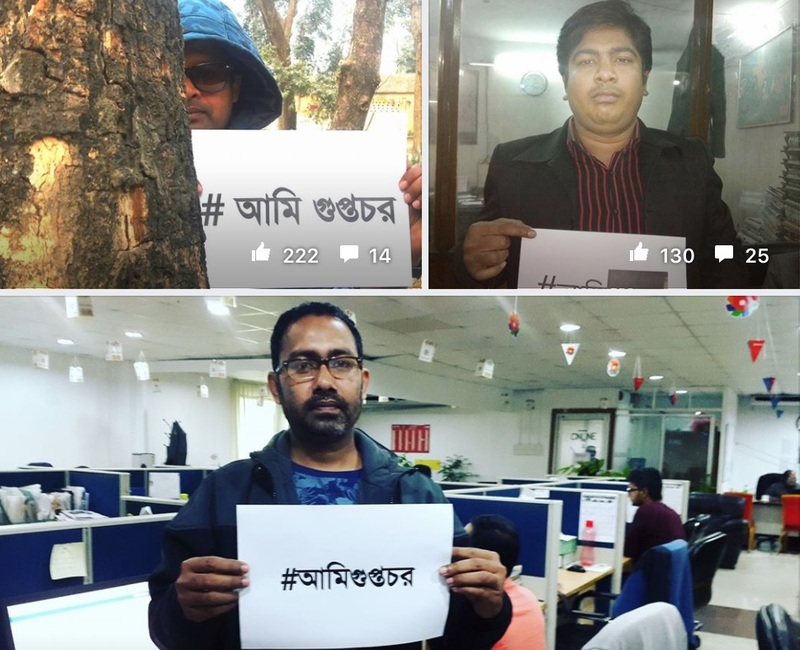 Holding placards bearing the #আমিগুপ্তচর  hashtag (pronounced “Ami Guptochor”, and meaning “#IAmaSpy” in the Bengali language) they are speaking out against a newly proposed law that would criminalize key research practices of investigative journalists. The 2018 Digital Security Act, still in draft, is said to target digital crimes. The current draft was approved by  the Council of Ministers of Bangladesh government on January 29 and is scheduled to be submitted to the Jatiya Sangsad (National Parliament) for approval. The act is expected to be approved  without opposition, thanks to the majority held by the ruling Bangladesh Awami League party . The Act is intended to replace the 2006 Information and Communication Technology Act  (amended in 2013), which has drawn much criticism over the past years. The notorious Section 57 of the law prohibits digital messages that can “deteriorate” law and order, “prejudice the image of the state or person,” or “hurt religious beliefs.” For these non-bailable offenses, the punishment is a minimum seven years in prison and a hefty fine. These vague terms paved the way for dozens of journalists and hundreds of bloggers and online activists to be prosecuted for their writings  and comments on social media. The Law Minister Anisul Huq promised  in July 2017 that Section 57 would be scrapped. 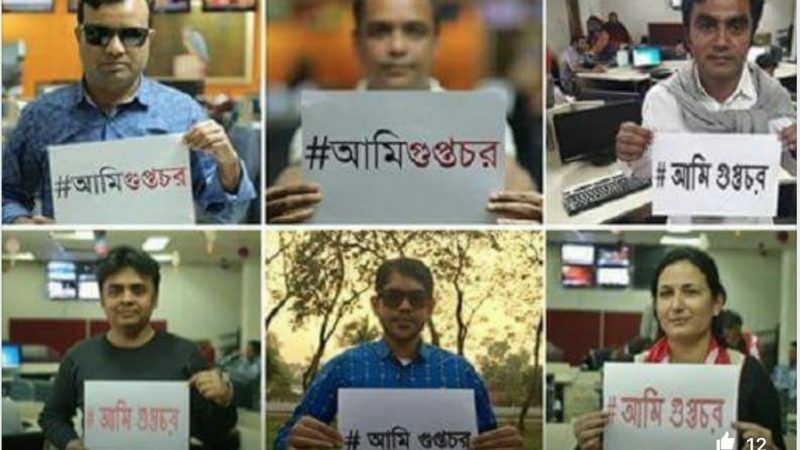 Journalist Rozina Islam told BBC Bangla in an interview  that the Digital Security Act will make the process of obtaining evidence for news articles very difficult. Along with journalists, various political parties , members of the civil society and ordinary people are protesting the law. An editorial published  by The Independent notes that “recommendations of stakeholders were ignored in the formulation of the draft act”. They have urged  the government to hold a public consultation before enacting the law.